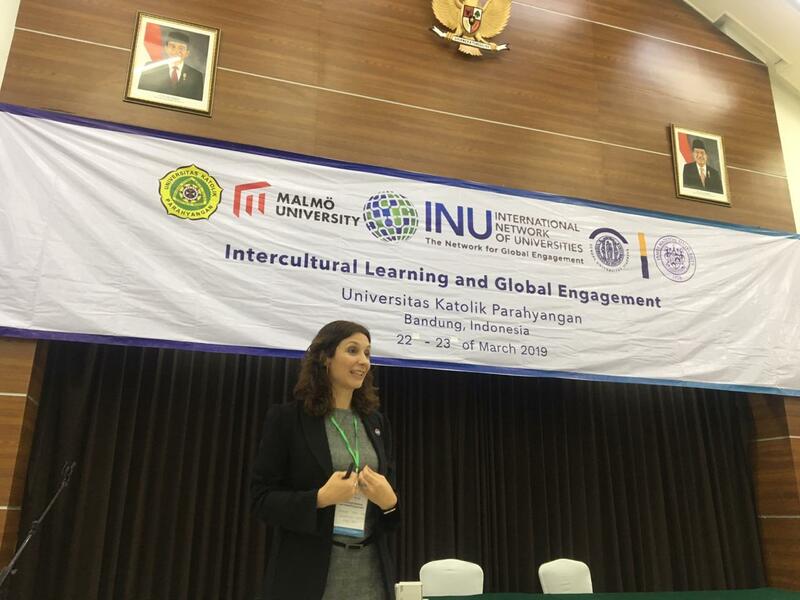 The SUCTI Project has been presented at the Intercultural Learning and Global Engagement Conference at the Universitas Katolik Parahyangan in Bandung, Indonesia, on March 22-23, 2019. On this occasion, a presentation and a poster on the SUCTI project and its importance to the Internationalisation at home of staff were shared with a very interested audience of Indonesian universities and INU members from Sweden, Germany, USA, Italy and the UK. The SUCTI Project will also be presented at the APAIE Conference in Kuala Lumpur (Malaysia) on March 26th, 2019. A session presented by the URV, the EAIE and the Università Cattolica del Sacro Cuore (Italy) will be sharing with a very international audience the objectives and initial results of the SUCTI in-house courses. These presentations are a good way to assess the great interest and need for more actions that focus on the internationalisation of staff at our higher education institutions and on internationalisation at home. 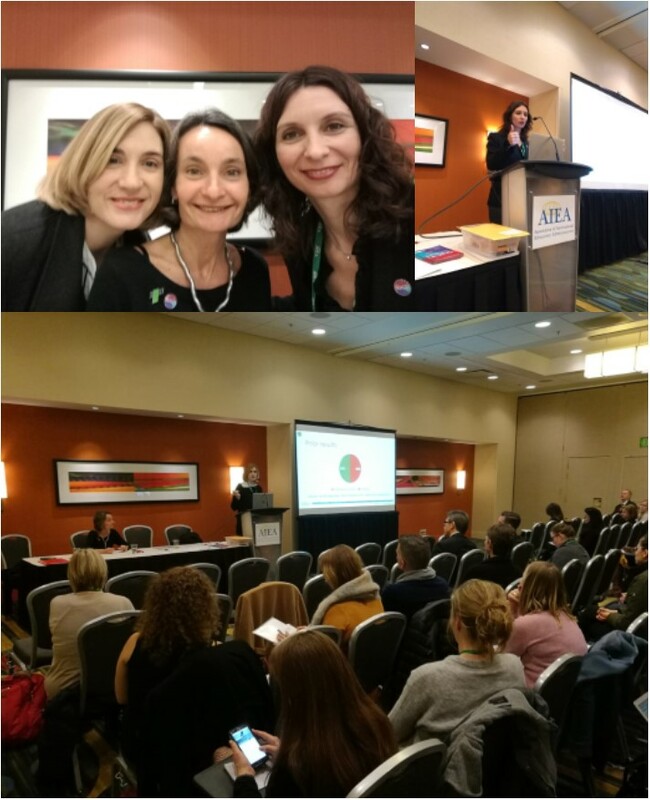 The SUCTI project was showcased at the session “Internationalization’s weak link: Non-academic staff as game changers” during the AIEA Conference on January 20-23rd, 2019 in San Francisco, USA. This session was presented by Ms Sabine Pendl (EAIE President), Ms. Lea Senn (Università Cattolica del Sacro Cuore) and Ms. Marina Casals (Universitat Rovira i Virgili and SUCTI Coordinator). 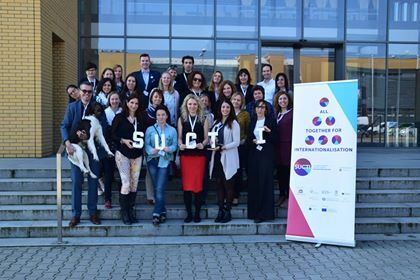 From April 9th to 13th, 2018, the SUCTI Project organised its main Training activity at Adam Mickiewicz University (AMU) in Poznań (Poland): the Train the Trainers week! Three non-academic staff members from all partner universities (AMU, Justus-Liebig Universität-Giessen, University of Porto, Universitat Politècnica de Catalunya, Universittà Cattolica del Sacro Cuore and the coordinator: Universitat Rovira i Virgili) participated in this intense week of training around Internationalisation, intercultural communication and training skills. 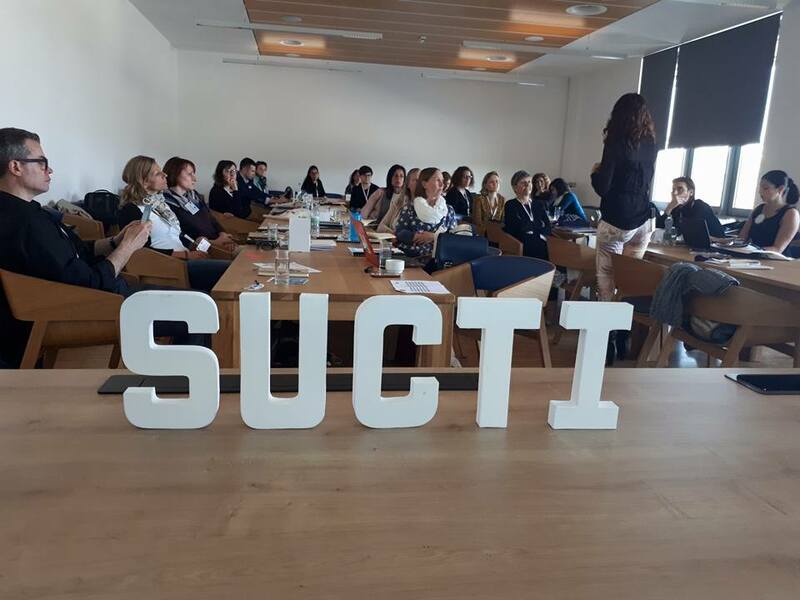 The SUCTI Trainers Network was officially founded at this event and the new trainers showed all their potential with their final presentations on Friday. The SUCTI Partners are very proud of all the work that was done and the excellent results of this passionate week. Now, SUCTI Trainers will organise and deliver their own SUCTI course at their own institution and in 2019 we will organise a Best Practice Conference where all trainers will meet and learn from each other again, improve their skills and continue to transform their own institution from within through the SUCTI training on internationalisation. Welcome on-board, SUCTI Trainers! We are happy to see the SUCTI Family growing. 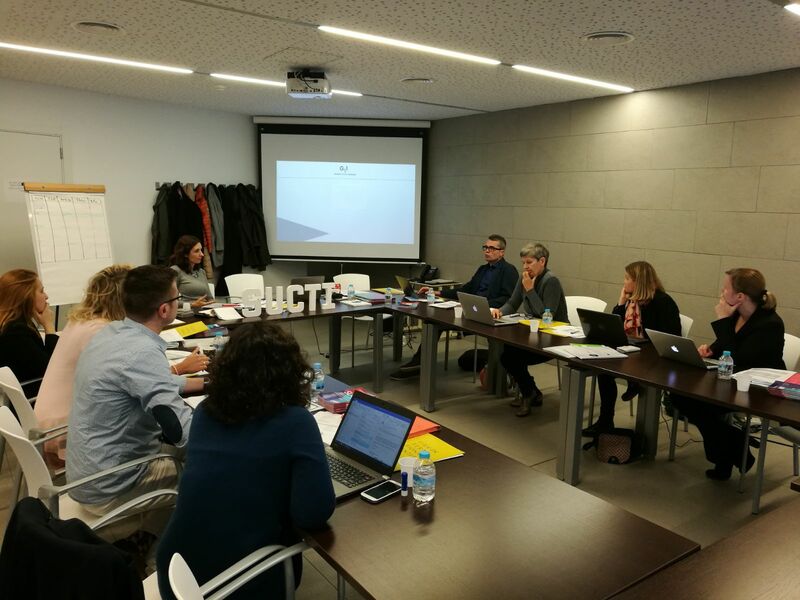 SUCTI Partners held its last meeting in Barcelona on November 27-28 at the Universitat Politècnica de Catalunya (UPC). In this meeting we had a look at the European Report on Systemic University Change Towards Internationalisation, we discussed the materials for the upcoming Train the Trainers to be held in April in Poznan and we made sure that the project is advancing at the right pace and in the right direction. It was a joy to see each other again and confirm that the SUCTI project is doing very well. Thank you, SUCTI partners for your commitment and hard work! 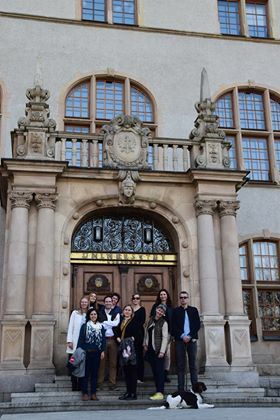 On the occasion of the Train the Trainers week of the project that took place in Poznań from April 9th to April 13th, all SUCTI partners held a meeting to discuss and advance on the project. The project is advancing as planned and dissemination is given special attention in order to create the multiplier effect wanted. The SUCTI project was showcased at the session “Empowering Non-academic Staff to Support Internationalisation” during the NAFSA 2018 Conference that took place from May 27th-June 1st in Philadelphia, USA. The session was presented by Dr. Uwe Brandenburg, Ms. Ruth Graf and Ms. Marina Casals. It was also presented at the Open Conference of the WELCOME Erasmus+ Capacity Building Project, which took place in Shanghai on December 9-10, 2017. In September 2017 SUCTI was also presented at two sessions during the Conference of the European Association for International Education (EAIE), that took place in Seville. As the EAIE Conference was well attended by most project partners, a partner meeting took place on that occasion as well. This multiplier event organised and held at the Center for Higher Education Internationalisation at Università Cattolica del Sacro Cuore gathered around 40 participants of different countries (20 of which were not from partner institutions) and was an opportunity to present the SUCTI Project to a very keen audience: PhD students who are developing their PhD studies within the field of Internationalisation of Higher Education. Three presentations on SUCTI and on SUCTI’s topic were made by Dr. Fiona Hunter, Dr. John Hudzik and Ms. Marina Casals. There were also dynamic discussions and group work and the response of participants was very positive. Their feedback showed that they did not know of this topic and found that it was of utmost importance to the field of Internationalisation of Higher Education institutitons. The hope that presenting SUCTI to this audience may influence the research of some of the PhD students was one of the reasons that this event was organised; and the fact that the future research on SUCTI can be transmitted and shared –via articles, other conferences…- made of it a truly multiplier event.